Traces of the Trade follows the journey of ten descendants of the DeWolfe family as they explore their ancestors’ dark past as the richest most powerful slave trading family in US history. 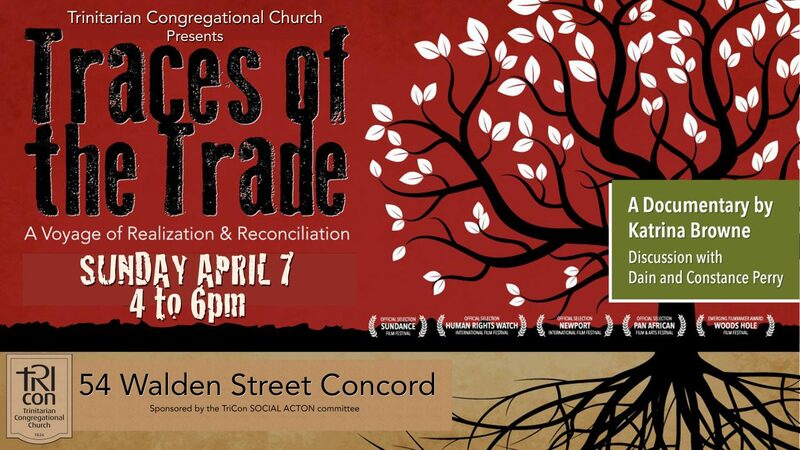 Filmmaker Katrina Browne, one of the descendants, organized the trip through the Triangle Trade from well-to-do Bristol RI to the former slave prisons in Ghana to the ruins of a family sugar plantation in Cuba. After the film, Dain Perry, one of the cousins featured in the film, and his wife, Constance, a descendant of slaves, will lead a conversation about the legacy of slavery and how racial reconciliation might be achieved. What reverberations of this history are still happening in our time? What responsibility do we inherit as individuals and as citizens? What would repair—spiritual and material—really look like and what would it take?